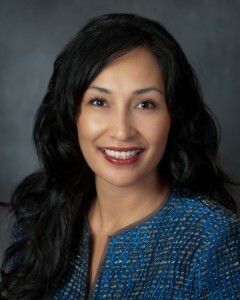 Grace Keohohou Hao co-founded the Direct Selling World Alliance (DSWA.org) with her business partner and mother, Nicki Keohohou more than 15 years ago. After being exposed to direct sales and entrepreneurship her entire life, Grace is now grateful to be reaching direct sellers in more than 30 countries through her speaking, writing and educational programs. Grace is a Co-Author of several Best Selling Books including, Build it Big, More Build it Big and Mom Entrepreneur Extraordinaire. She is a Certified Coach with the Coach Excellence School and WABC (Worldwide Association of Business Coaches) Certified Business Coach™ (CBC™). She recently received, on behalf of the DSWA, the honor of being named the National Advocate of the Year for Working Mothers. Grace loves being a devoted wife, mother of 6 amazing children and enjoys life as an entrepreneur serving direct selling professionals and educators. — Mary Lee Cullen, Explorer Division Sales Manager, Avon Products, Inc.
Bring the power and heart of Grace Keohohou Hao to create lasting RESULTS in your company!